I am based in Ashbourne, Derbyshire and serve a wide local area. I am able to respond quickly and approach each job listening carefully to the customers’ needs which I consider most important. See what my customers have to say below…. When you contact me I will discuss your requirements or problems and you will be given an idea of the costs involved. I will usually be able to visit you within a few days (sometimes even the same or the next day) and discuss a fixed price for the job, often being able to do the job there and then if required. There are no call out charges or any hidden extras! I would not hesitate to recommend Landline Telecom. Issues that I have had for months that another company had not found or resolved were quickly and efficiently. Trader made suggestions for general improvements to Wi-Fi range and speeds and provided the equipment at a very reasonable cost. We have never had such a good broadband speed. He also explains things in a non jargonistic way which also invokes trust. Excellent service, really helpful in resolving a problem with connection, fair price, very pleased. Very pleased with the work, the price was excellent and he left the place clean and tidy after completion. Nick was very helpful, pleasant and efficient. We were very pleased with his work. An excellent workman who turned up on time and did a very neat job and charged less than his verbal ‘telephone’ quote. Very satisfied. We found Nick to be very personable and extremely knowledgeable. He was happy to discuss our requirements and offer the best solutions. He arrived exactly on time on the date agreed and the quality of the work was first class. We are delighted to have found a trader who can provide such excellent service for a fair price. 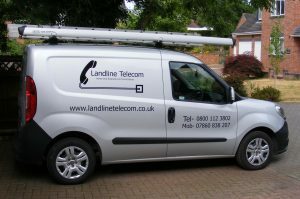 We will have no hesitation in using Landline Telecom again and it goes without saying they will be recommended to all our friends and colleagues. 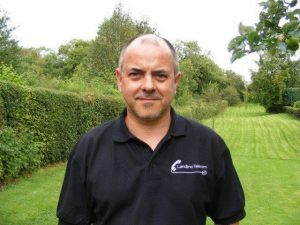 Nick was a very professional telephone engineer and provided a wonderful and efficient service. I would recommend him to anyone. Excellent service, fair pricing for the job done and very helpful. Would highly recommend. Efficient, well priced service; very pleased with the work. Explained what he could do, cleaned up after himself and did the job straight away. Friendly and very helpful. Quick, tidy, efficient service. Also provided advice on other work we enquired about. Highly recommend brilliant service. Explained everything, cleaned up after himself. Excellent work. Have used again and again would recommend. Thanks. I aim to achieve total customer satisfaction at a price you will be happy with.